Whether they're trying to rule the world or just trying to ruin your day, villains are everywhere! Some of them have more panache than others with their acid tongues and inflated egos. Smack them down all you like, they just come back with more. 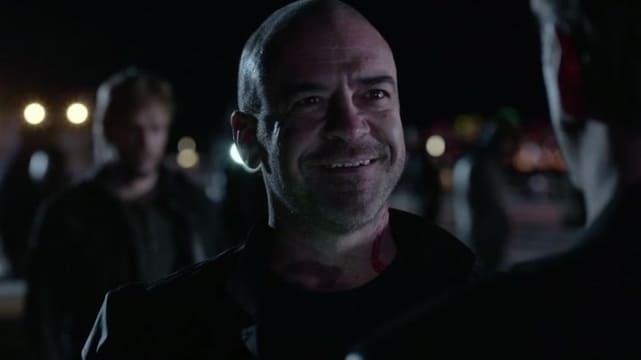 Whether he was trying to rule the world on Arrow or just trying to assert his dominance with the Legion of Doom, Darhk's ego knew no bounds. His mouth was a rolling river of sarcastic quips that made everyone around him crazy. To call him a megalomaniac would be the understatement of the year. Lucifer has wreaked all sort of havoc on Sam and Dean's world, but he's still a lot of fun to watch. Whether he's taunting Sam or dancing the night way in the cage, this devil has endlessly entertained us with his own brand of charm and wit. Anyone who would give a name their kill bat already has a problem, but we already figured that out. He's another one with an ego the size of Mount Everest and a mouth to match. What villain school do these guys go to, anyway? Like all villains, Valentine's ego got the best of him and caused him to become a very bad guy. He was cocky in his youth and even cockier in his adult life. Even when Shadowhunters tried to make him a nice guy on "This World Inverted" his cocky attitude still came through. Maybe it's just that constant glint in his eye that tells us something's not quite right. Ahhh, youth. This new god is ready to kick the old to the curb because he thinks he can. It's an ego thing. What he doesn't realize is that youth doesn't last forever. What is new today becomes old tomorrow, and he's just one step away from sitting on the curb with those he just kicked over. There's nothing redeeming about Malcolm Merlyn not even when it comes to his kids. He was a bad guy before he was a bad guy. In all of his evil incarnations, he had no problems letting us know how great he was. With his smarmy smile and even smarmier attitude, it's no wonder we love to hate this guy so much. Supergirl: Who Has Been Recast? Arrow Season 6: Kirk Acevedo Joins as New Villain! The Walking Dead Season 8: First Photos! Supernatural Spoilers: Castiel's Fate, Mary's Predicament & MORE!! Supernatural Spinoff: Three Supernatural Vets Join Cast! Supergirl Season 3: Calista Flockhart Will Return!